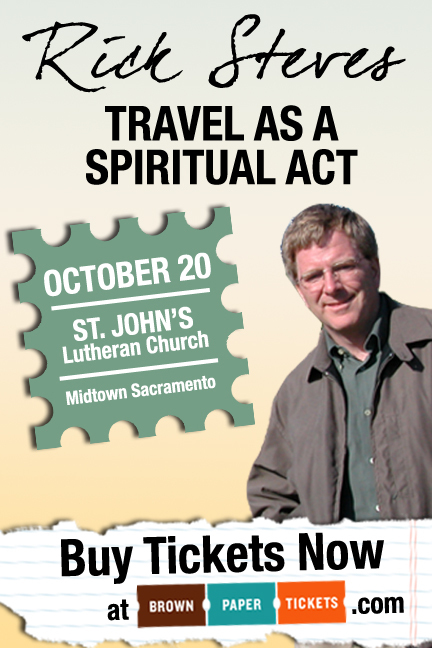 I am delighted to announce a great opportunity for those of you in Northern California to meet Rick Steves, travel writer, TV host, and radio personality. A deeply philanthropic guy, Rick is coming to Sacramento to do a talk and reception as a fundraiser for two causes near and dear to my heart: the Rwanda School Project and Lutheran Social Services of Northern California. And as one of the organizers of this event, I hope you will all come! 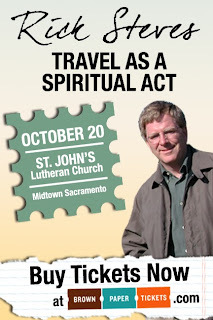 Includes admission to an intimate reception with Rick Steves prior to the lecture with light refreshments, reserved seating for the lecture, and an autographed copy of one of Rick Steves' books. Includes general admission seating for the lecture. All event proceeds benefit The Rwanda School Project and Lutheran Social Services of Northern California. 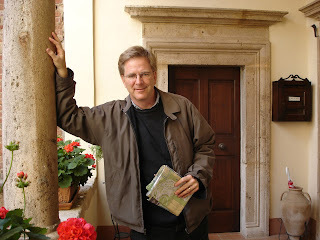 I was recently a guest on Rick Steves' radio show. Check it out: The Gypsy on Travel with Rick Steves. I wish I could be there! I'd love to hear more on the subject.